I’ve to make a small confession today. Blogging is fairly easy to start but difficult to maintain. I had few other blogs before I started Epife, and due to inconsistent blogging routines, I had to abandon. One thing I learned from experience is that consistent blogging is the key to successful blogging. 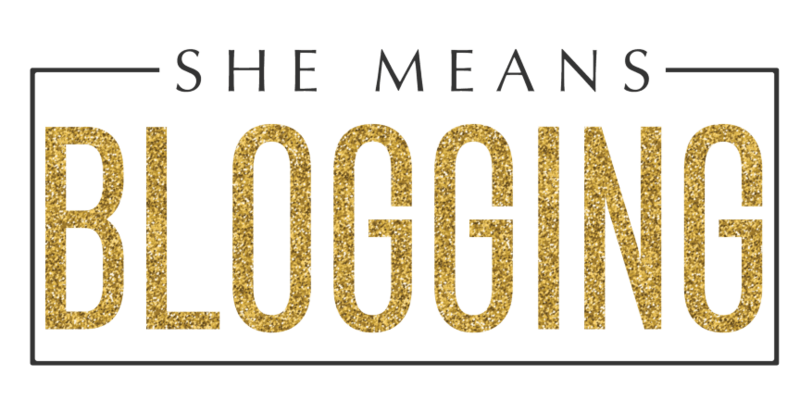 So, this post is incredibly important for bloggers who suffer from inconsistent blogging. 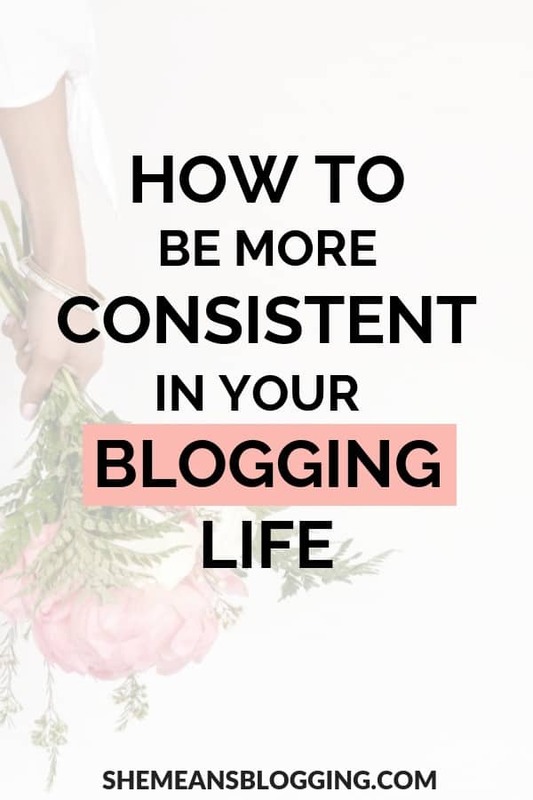 Do you struggle with consistency in blogging life? If you face the same problem, this post is for you. I m going to tell you little tricks that can help to be consistent in blogging life. Just read this post and collect the points. Assuming, you have a blog. 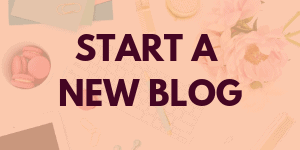 If not, check out this tutorial to Set up a profitable blog. I followed the exact steps to create this blog. I’m sure this is going to help you build an online presence. WHY BLOG CONSISTENTLY IS IMPORTANT? You must have read blogging is all about an exercise of persistence and consistency. Now, tell me if you face following problems while running a blog. Your blogging schedule is haphazard. You fail to get your post publish consistently. You find it difficult to blog every day. Your content hardly gets noticed online. All above queries can easily be solved by adopting a routine to blog consistently. If you adopt a blogging habit and become consistent in blogging life then good results automatically dive in. I will give you simple tasks to become a consistent blogger and live an effortless blogging life. If you ask me one thing to make blogging a little easier I suggest setting blogging goals. It doesn’t matter how minor or big blog you run. If you often visit my blog, you had always seen my urge for setting goals. You got the plans. You know what to work every month. You have developed content strategies. You would like to publish 3 posts a week, increase social media followers, get email subscribers, send guest post pitches, purchase an ebook, invest in a course etc. There are a lot of things you need to do. Just click this image to check out a gorgeous planner. Keep your target audience in mind while setting goals. How much content and what type of content you share a week. What sort of posts to create. How many images to be inserted. Set time frames for multitasking. These hints are just written to help you get some inspiration for goal setting. For the exact method of setting goals, check out this post. If you’ve already made blogging goals then blogging life becomes stress-free and more focused. I’d also recommend you to check out this amazing resource. 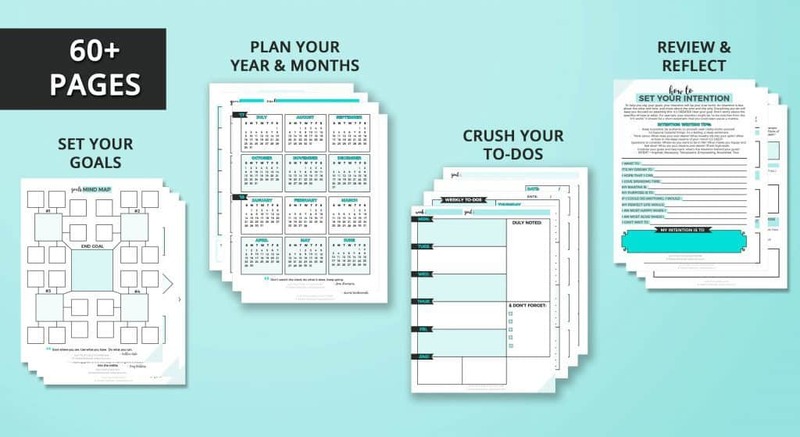 More than just a planner, the Slay Your Goals Planner is an epic 45+ page printable with everything you need to achieve your goals. I guarantee you’ll love the pages and every bit of it. Wondering, how to get your blog noticed? The only step to building your online presence stronger every day is through scheduling the content in advance. It also helps to get your blog noticed to your targeted audience. This is equally important for increasing blog traffic. Remember, if you disappear and fail to schedule content then readers will also forget you and the blog. Even if you wish to take a gap or days off from blogging consider adding few posts in drafts and schedule it. This is a simple way to be consistent in blogging life. By doing this, your audience would still get the content from your blog. Right? 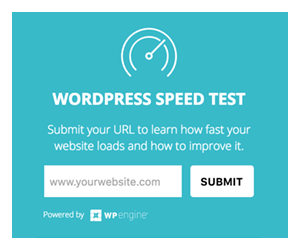 Are you using smart blogging tools to improve your blog performance? Head over to my ultimate resource of ‘Blogging Tools And Resources’. To get blog things done, engage in social media communities and show your presence. Consistency in blogging life is not just limited to writing content or publishing posts. 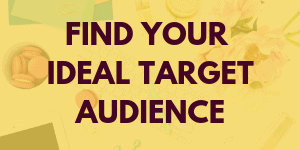 You’ve to interact and engage with your targeted audience. This way, your readers will get a word from you every time. Keep audience engaged to your blog content. One of the common mistakes many bloggers commit is trying to do multitasking every time. Believe me, I’ve tried to experiment it multiple times. The results were destructive. Very Poor. I started writing smaller tasks on my notebook or even Evernote (mobile app) every day. As I gained momentum to blog consistently, results got better each day. Pick up one or two tasks every day and try to accomplish it before you take another action. Blogging is never complete without writing. Both are connected with each other. Developing a writing habit is significantly essential for becoming consistent in blogging life. Remember, writing should come from inside. Whatever you write, just do it from your own voice. It brings a flow to your writing and you’ll also love doing it every day without any hassle. Take these steps and write freely. Look at your goals, and write accordingly. Make a cup of coffee or an energy booster. Outline the post and write headlines. Take out 30 minutes every day for ‘pure’ writing. Shut down all the distractions. Everyone has different schedules and routines. You have to set aside writing hours for regular writing. No one can do it better than YOU! P.S: Don’t wait for another day to start writing. Just do it now. Take out a notebook and set an hour for writing. Pick one step and follow it. I’ve discussed a few ways that help to be consistent in blogging life. Tell me how you tend to be consistent with blogging? How do you follow the rule of consistency to your blog? Maybe, I can learn a new trick from you to gain momentum and trigger my blogging routine. Thank you for this. I am just starting out blogging, so I need the encouragement. I am going to make a point to incorporate your tips. Good info, Arfa! I am just getting started. I try to write down planned topics whenever the pop into my head. I will try to use some of your ideas to keep it going. These are great tips! I need to get better about being consistent with my blogging. 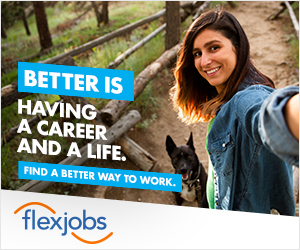 Trying to find a work/life/blog balance is hard. I’ll try implementing your ideas to get my head back in the game! I agree with you on this, Jenny. Finding a work-life-blog balance is hard but it can be achieved. We need to stick to our plans and schedule every day to get moving in the right direction. I can definitely benefit from your tips. I spent a couple hours yesterday updating my blog binder and realized just how truly haphazard and inconsistent my blogging has been over the years. I am just starting out a personal blog and this post was really interesting. Very well thought out and it almost felt calming to read. Thank you! Consistency is so hard because . . . LIFE! I love these tips. The more involved I get building a social community the more I want to write! You’re so SO true! Thanks, Megan for sharing the thoughts. I plan to create an editorial calendar to become more organized with my posting. I believe most people who struggle with consistency suffer from problems with organization. Good tips! These are really great ideas! I had to close my last blog partly due to inconsistency too. I struggle with it in all parts of my life. I’m going to try and take some of your suggestions! I’m an insane scheduler! It makes everything so much easier for me because I feel more organized! These are great tips for staying consistent. I have trouble staying motivated, so I’m going to try these out. Thank you! Thanks, Cynna! I’m sure you’ll find these useful. Try them out. As a new blogger, this was super helpful. One of my goals is definitely to develop a schedule. So far, I publish content every week, but I need a more consistent schedule. 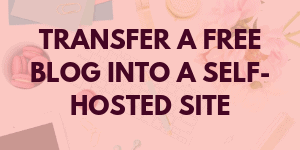 These tips were helpful and I’m excited to read about the other tips you share on your site. Thanks for this! I don’t have any tips of my own. I still feel really new to this and have been struggling with consistency. 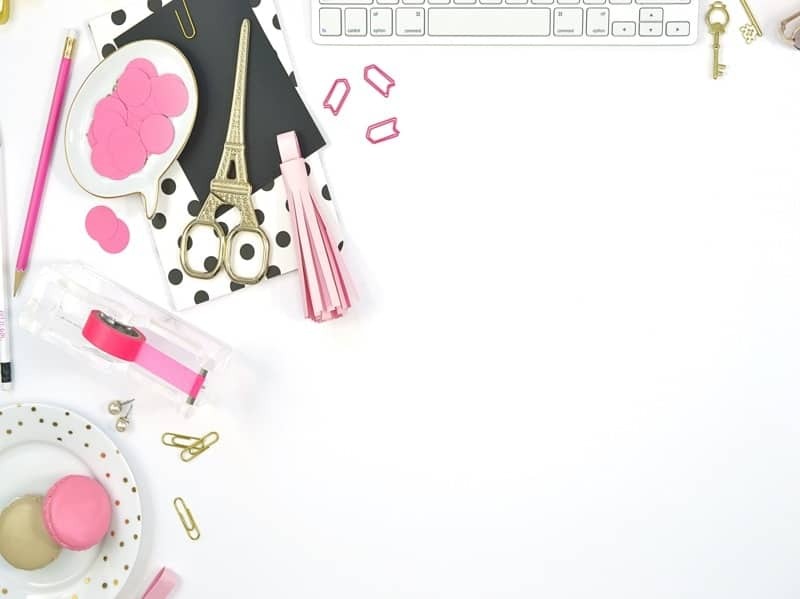 I’m not 100% on my niche but I’ll do my best to implement these tips into my blogging, especially with the fact that I am going into my second year of university, I need to set a habit. Thank you for sharing! They were very helpful. Having an editorial calendar has definitely helped me out a lot. I know exactly what I’ll be writing about in advance and that allows me to brainstorm and have some good ideas to put down when the time comes to write! I could really use these tips to be consistent! Thanks for sharing! This was a really helpful article as I always look for ways to keep up my consistency. Thanks for putting it together. I agree that consistency is key and this will help me be better at it. Thanks, Danielle! That’s how people come back to a brand and remember it more often. What a wonderful post! So many great tips and informative! I am new to the blogging world and this article really gives me encouragement and hope to having a successful blog. It is very overwhelming at first, but people like you, are so helpful! Thanks for sharing! Welcome to the blogging world, Christine! I’m excited about your journey. It feels great that you liked the post and this post has given you enough encouragement for being consistent in order to calculate good results 😉 Anytime. This is so helpful! I thought that once I was done with school for the summer, it would be easy to be consistent, but that hasn’t been the case at all! In fact, it’s worse now that I don’t have as steady a schedule. Thanks for the great tips to help me out! Thanks, Nicole! I know being consistent isn’t as simple as it seems. I’m glad the post came at the right time. Thanks Arfa for the nice post. 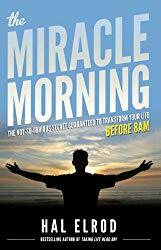 This was an awesome read. I follow the regular posting with promotions to be consistent. Setting goals keeps me on track! I schedule time in my day to work on my blog and I also invest in it. I do one task at a time and it works well for me. Oh man, these are SUCH great tips that came at a perfect time for me! I can’t wait to read more! Thanks, Serena! I’m glad you enjoyed reading. Thank you for writing this! I am struggling with updating consistently and this post gave me a couple ideas. Carolyn, I’m glad you took away some key points. Don’t fret out, learn and take actionable steps to be consistent. And, you’ll see amazing progress. Thanks, Emily! Yeah, this also makes us feel more appeased. Great tips. I am finding that having a plan for blog topics helps a bunch. I also like using a planner to keep me on schedule. Hi, April! You won’t believe how relieved I feel when I collect a bunch of topics. That gives an ease of mind. Planner helps! I need to work on that. A very useful post, indeed. I have been telling my blog readers and vlog viewers for a long time that consistency does make a difference. If someone thinks: let’s try this out and see what happens. That’s a no-go, as far as my philosophy is concerned. I’m all about consistency and persistence. I started off offering freelance writing service in 2012. It took me three years to reach the point where I stopped taking new clients. I think it comes down to your passion. If you’re truly following your passion; you would be eager to make it to the end, successfully. However, the mindset does play a role in this. I urge everyone reading this blog post to take the useful message out of it. Be consistent whatever you’re chasing. Thanks for writing this blog post. Thanks for the fantastic tips! YES! Awesome tips here. And #5 is so important! Because while you can make plans and blogging goals, if you don’t consistently set time aside most days, it just won’t happen. Thanks, Ali! Absolutely. Developing a writing habit connects with all the things we do online to remain consistent. So, taking out time for writing is equally important. Interesting article for everyone not just first timers. Consistency are so important yet we all struggle with that. But some times i wonder if it’s really the important part. I know a blogger that are a ‘pro’ and she doesn’t post regular and her readers are there every time. I think the most important part would be quality above quantity. What do you mean by download photo’s? You take to take your own photos or pay for them from certain sites, it’s illegal just to download photo’s from the Net. Hi, Leanie! Yes, nothing beats the quality. But, consistency with blogging means to involve in certain practices that help in running your blogging game more efficiently. It’s not limited to writing a blog post every week. Consistency with blogging can be achieved by writing guest posts, social media posts, blog comments, emails etc. The focus is to keep writing and remain consistent with the blogging life. That’s how pro bloggers do. 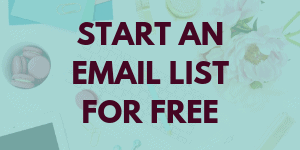 Once, they have sufficient content they spend time in growing email lists, sales, more conversions, webinars, courses, summits etc. And, by downloading photos I meant to say to collect photos or other stuff for your blog. Some websites offer free images which you can download and use it on your site with a credit (It’s smart to give mentions). Hope, it helps. I love the writing habit note. I write a ton daily for guest posts and through blog comments too. Easy way to keep blogging because practicing writing every single day keeps you consistent in the blogging game. Super helpful! thanks for laying it out here. you are such a beautiful soul. These are such good tips! Especially the schedule one! As a mum of two toddlers if I don’t schedule posts in advance I’d never get anything posted, as I can’t always rely on a naptime to get a post up that day, haha! I have only recently started blocking out time to write like you suggested and it really makes a difference if I close away all the other tabs and distractions! Glad to share the tips that do work for establishing a consistent blogging life. I’m sure the results are great. Scheduling content in advance is key and something that I’m working on. I also love making writing a habit. My favorite one? Writing a blog post on my phone while I’m working out at the gym! These are some really great tips! I could definitely be better at planning out my content well in advance. Thanks for sharing. Thanks, Cara! I’m glad you like the post. You can rock your content planning! Good luck. Great tips. I’m a newbie blogger and had so much steam for the first three months. Then I went through a period of writers block and had a hard time coming up with content. I’m working on expanding my niche so I have more content. That seems to be helping a lot. Thanks for this post! Hi, Shirley. This is how I started and you won’t believe I took a blogging gap for almost 5 months. Everyone faces the writer’s block syndrome. You are not alone, friend. That’s good to read from you on expanding your niche. What niche are you in? Thank you! consistency is my main weakness so this helps a lot. Dayna, I understand. Don’t ever feel disappointed. You will start becoming more consistent and actually, develop habits that will make you productive too. Stay focused and achieve more. Tola, I know you are going to make this! Just start writing goals and calculate the new results. I’ve seen major growth when I set goals. Arfa, stronger the hunger and desire, further they will take you. I believe in this mantra and have embedded my blogging and brand into my life goals and objectives. When it all filters down from the top, it is easier to feel motivated and stay persistent with your habits. Great article and an important topic for new bloggers. I have been there and I have seen it. Keep up the good work. Ahmad, this is so motivating. Things only get better if we realize the needs and learn how to do it the right way. Your blog is a good example to see what you’ve embedded and how you did it with clarity. Thanks for giving it a read and sharing a word.